The weak economy and political instability has seen house price growth in the City Bowl decline from a high of 23.5% in the second quarter of 2016, to 12% at the end of 2017. Mikaela Pace, Area Specialist for Lew Geffen Sotheby’s International Realty says: “This is still a very respectable growth rate in anyone’s book, but at almost 50% lower than a record high the previous year, it’s a clear indication of the challenges faced by even the strongest markets. However, because of its numerous key drawcards including a prime location and distinctly suburban feel despite the proximity of the CBD, the City Bowl remained one of the city’s strongest markets. But Pace says 2018 hasn’t got off to as brisk a start as expected: “Even though we have had more sellers requesting evaluations, actual movement has been slow off the mark which is probably largely due to both sellers and investors waiting for the dust to settle after all the dramatic political events of the past two months. 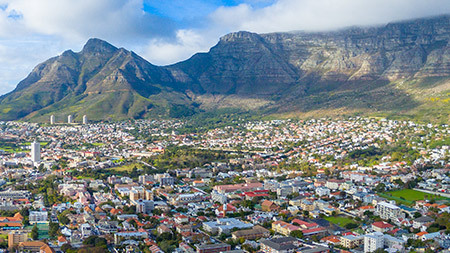 Yael Geffen, CEO of Lew Geffen Sotheby’s International Realty says that despite the slow start, an analysis of Propstats data indicates that prices have stabilised with the area showing consistent, albeit slower, growth. “At the end of 2017, the average selling price of an apartment was R3.2 million, 10.72% higher than R2.89m at the close of 2016 and the city bowl apartments sales confirmed to date this year are already realising an average sale price above R3m. Pace adds that the affordability challenge and the growing move toward low maintenance and water-efficient properties has spurred the sectional title market in the City Bowl and is also driving the market in the CBD where apartments dominate the property landscape. Most popular in both areas are two bedroom, two bathroom units. Pace concludes: “Although the year has got off to a slow start, the stabilising of prices, more realistic seller expectations and positive political changes stimulate the market and make it more affordable again for investment buyers. will lead to more buyers being able to afford, therefore more investment buyers coming back into the market. Although the upper end of the property market has wavered in the face of a weak economy, it is still showing remarkable resilience. After years of phenomenal growth the Southern Suburbs market is slowing down. There are however still some markets that are showing strong activity. The Southern Suburbs sectional title sector has continued to perform well despite the subdued economy but, at times like these correct pricing is the key factor in achieving a quick sale.